Dipika has spent the past 8 years building and scaling market-based models for inclusive growth across emerging markets in South Asia and East Africa. Her core expertise is in social innovation and startup incubation. She currently leads the Intellecap Innovation Labs - a new initiative focused on combining exponential technologies with the spirit of social entrepreneurship to positively transform lives of low-income communities. Before this, she helped build and scale India's first and largest virtual incubation platform called "StartupWave". The platform which is currently supporting 750+ entrepreneurs has been recognized by the World Economic Forum and Harvard Kennedy School as one of 12 breakthrough ideas shaping the future of global inclusive development, and by CNBC TV 18 as one of Digital India’s key achievements. She has also designed and led pioneering social change programs for for development finance institutions, multilaterals, and large multi-national corporations including International Finance Corporation, World Bank, UKaid, GIZ, Shell Foundation, Unilever, and RB (formerly Reckitt Benckiser). 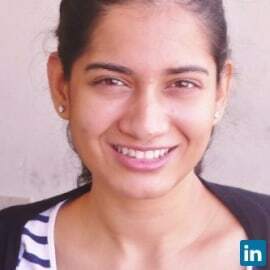 Dipika is a World Economic Forum Global Shaper, and serves as Curator of the City Chapter in Hyderabad, India. She holds a bachelor's degree in engineering with a major in biotechnology, and has an executive specialization in data science.